WNHS Student with ID: Free! District 200 employee with ID: Free! Paid admission seating is in the Main Grandstand on the east end of the stadium. Overflow seating and handicap accessible seating is on the south end behind the end zone. Candy grams (Skittles, Swedish Fish and Starbursts) available to be purchased and sent with a note and given to band post performance. South gate or parking lot only. 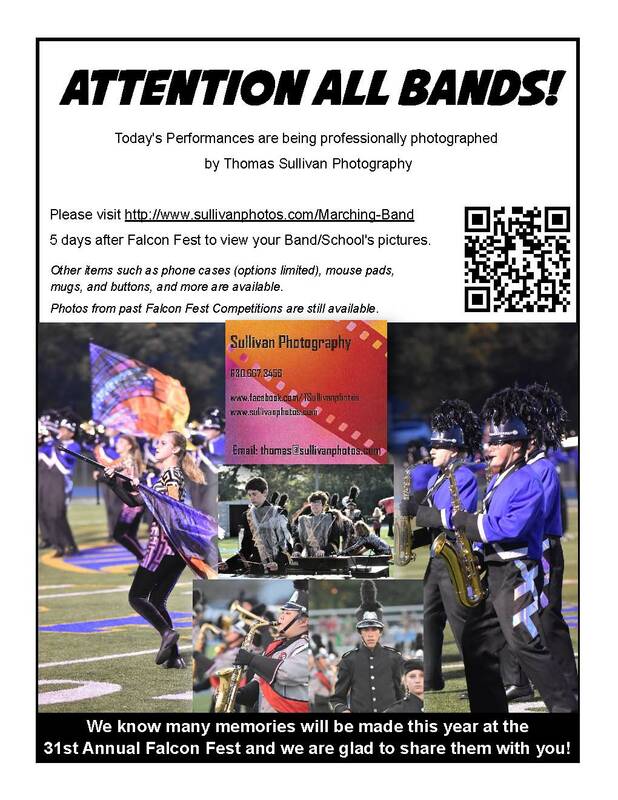 Each performance is videotaped by the WN Video Club and the band director will receive a copy. Restrooms are located at North end in the Falcon Feeder. We have a limited amount of spectator parking. The lots on the East and North sides of the school will be used for buses and are not available for parking. Spectators can park in front of the school on Thomas or on a limited number of surrounding side streets, marked in green on the map. Please note there is NO street parking South of the school on the neighboring streets. Various area businesses have allowed spectators to park in their lots and are also marked in green on the map.